In early December 2018, the BBC aired the one-off drama Care, based on the real-life experience of co-writer, Gillian Juckes. Alison Steadman played Mary, a lively and involved grandmother to her daughter Jenny’s (Sheridan Smith) two children. Driving back from an outing, Mary suffers a stroke, which results in vascular dementia. A technique that differentiated the drama from others tackling one of the most important social issues of our time was that Mary’s speech was subtitled, allowing the audience to understand what otherwise sounds like nonsensical whimpering, which doctors, nurses, and her family simply speak over as if she were a toddler. 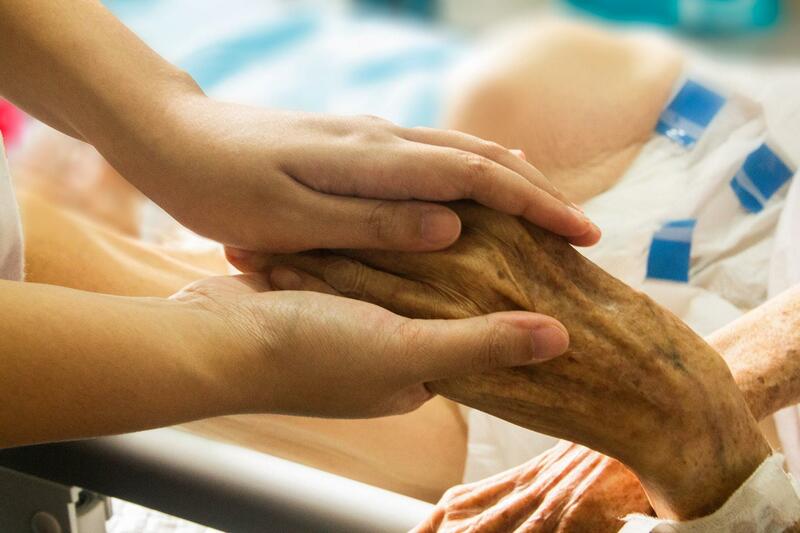 And herein lies a key tragedy of dementia – the wishes and feelings of suffers often go unnoticed, despite the best intentions of loved ones and medical professionals. Most of us understand the importance of having a Lasting Power of Attorney (LPA) and the number of people entrusting their financial, property, and health affairs to others has soared by 180% in the past five years. However, many people still become unable to manage their finances and welfare and do not have a Power of Attorney in place. This is where Deputyship comes in. For family members faced with a loved one who has become mentally incapacitated through accident or illness, an in-depth understanding of how Deputyship works and how to apply for it can resolve many a sleepless night. A Deputy is a person appointed by the Court of Protection to manage the affairs of a person who no longer has the mental capacity to do so. There are two different types of deputyship for different types of decisions: one for decisions about a person’s property and financial affairs, and one for decisions about their personal welfare. What is the difference between Deputyship and Legal Power of Attorney? Although they perform similar functions, and LPA and Deputyship are separate solutions to the problem of managing financial and/or personal affairs due to lack of mental capacity. In the case of an LPA, the person creating the document (known as the Donor) has mental capacity and is making decisions for themselves regarding who will manage certain aspects of their life should they lose mental capacity. In the case of a Deputyship, the person has already lost capacity and their family members must apply to the Court of Protection to make decisions on their behalf. An LPA allows the Donor to decide not only who will act as an Attorney, but the extent of power that person will have. For example, the Donor may state the Attorney can manage income generated by a property, but not sell it. Because it must pass through court, securing Deputyship can take time, which can cause significant issues for family members if bills must be paid. The law relating to Deputies is mostly governed by the Mental Capacity Act 2005. Under section 19(1), to act as a Deputy, a person must be 18 years or over or a trust corporation. The latter only applies to property and financial Deputyships. The only other criteria is that a Deputy must consent to their appointment. The ultimate decision of who is appointed a Deputy rests with the Court of Protection. Although it is rare, the Court can appoint two Deputies who can act either jointly or severally. The Office of the Public Guardian (OPG) maintains a panel of those willing to act as deputies for property and affairs. A Solicitor or other professional can also act as a Deputy. What are the powers of a Deputy? The Court of Protection will confer powers on the Deputy when making the Deputyship Order. These powers will be as limited in scope and duration as reasonably possible and the terms imposed on the Deputy will always be in the mentally incapacitated person’s best interests. A person is not to be treated as unable to decide on matters unless all practicable steps to help them to do so are taken without success. A person is not to be treated as unable to make a decision just because the decision they make is deemed unwise. An act, or decision made, under the Mental Capacity Act 2005 for or on behalf of a person who lacks capacity must be done, or made, in their best interests. Before the act or the decision is made, the Deputy must consider whether the purpose for which it is needed can be as effectively achieved in a way that is less restrictive of the person's rights and freedom of action. How do I apply to be a Deputy? To become a Deputy for someone who lacks mental capacity you will need to make an application to the Court of Protection. Certain forms need to be completed, including an Assessment of Capacity form. These forms can be complex and if they are not filled out correctly the application for Deputyship can be delayed or rejected altogether, costing valuable time and money. Therefore, it is wise to invest in professional advice to ensure the application for becoming a Deputy is made correctly the first time. Deputyship is a serious responsibility. Before deciding if a Deputy needs to be appointed, it makes good sense to talk with a Solicitor who can further explain the process to you, including details of supervision by the Court of Protection and the OPG, and also the payment of a security bond, should one be required. Guillaumes Solicitors can assist you with Deputyship Applications and issues relating to power of attorney. Guillaumes LLP Solicitors is a Surrey based law firm offering a full range of services. We have a highly experienced private client team who can assist you with all matters relating to Deputyship. To make an appointment, get in touch with our legal experts.